The public beta of iOS 9.3 is available for all to download today. Normally, decimal-point upgrades aren’t much to write home about, but there’s a bunch of small changes in 9.3 that add up to a serious upgrade. As ever, beta software is by definition not ready for public release, so you’re going to encounter the odd bug if you go download onto your iDevice. But in return for the occasional SNAFU (I had one random reboot! ), you’re getting a couple new features. Night Shift is probably the biggest upgrade. It’s a feature that will change the temperature of your screen to be warmer during the night (or whenever you want), something that’s been proven to help with sleep, not to mention looking less harsh. The feature has been available on PC, Macs and Android for a while now through a little app called f.lux, and you can even hack it onto an iPhone with a little work-around. But with iOS 9.3, Apple’s bringing it easily to everyone who emails in bed. 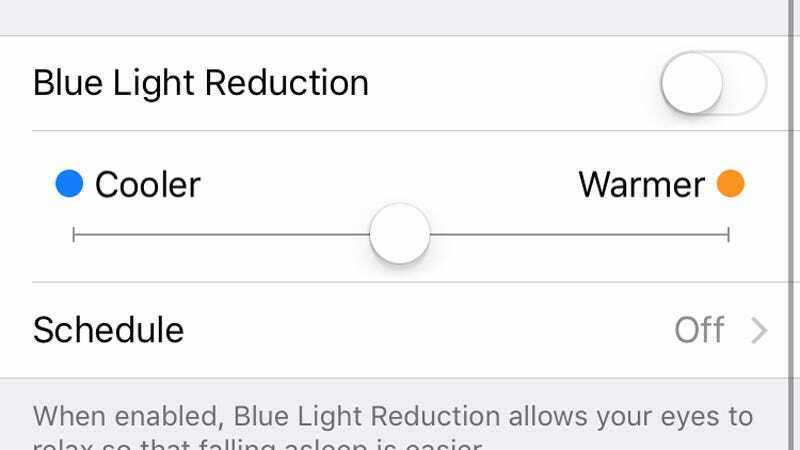 I work early into the night as part of my job, and f.lux has been invaluable for years; it’s fantastic to see Apple bringing the functionality to non-geeks who probably haven’t even heard of color temperature before. To enable the setting, head into Brightness & Display. There, you’ve got the option to customize the color profile, and set what times of day you’d like it to be active. Another much-needed change is the ability to password-protect certain documents in Apple’s Notes app. Just as I don’t like handing my phone to people who keep swiping through photos, letting people look at a shopping list can quickly turn into something far more serious. Just hit the options button in the top-right of a note, and you get options to password-protect. Other small things: there’s an option to duplicate photos, which is useful when you consider the raft of editing options in iOS these days. Duplicate one, mess with the other. Finally, for the iPhone 6S owners in the crowd, there’s a bunch of new 3D Touch options. Probably my favorite is on Settings, where a force-touch gives you toggles for Bluetooth and Battery. 3D Touch was a wasted technology when it first came out on the 6S; it’s good to see Apple very slowly and slightly haphazardly go about making it more useful.